This article is a review of LIMITLESS. Is it lack of imagination from the filmmakers that when someone unlocks the potential of the human mind, they become a banker? Or a cheeky social comment that this is the fastest way to make money, and thus gain power? 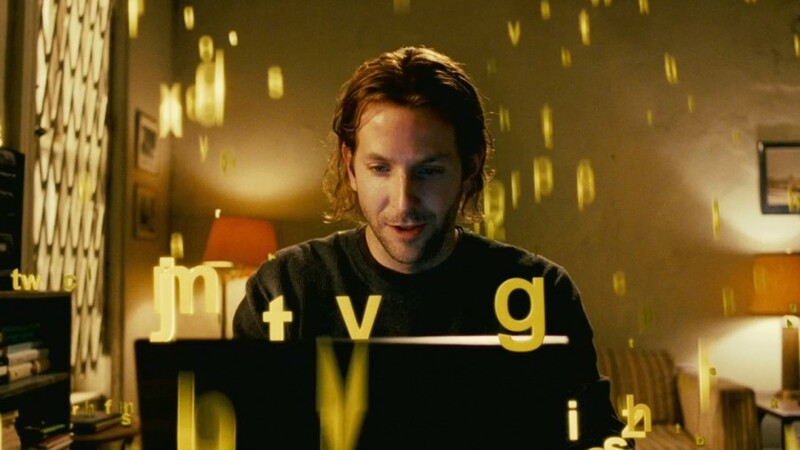 These were my initial questions after seeing what happens when an aspiring novelist, Eddie Morra (Bradley Cooper), finds himself with a stash of a secret wonder drug, NZT 48; which pushes his I.Q. into four digits and allows the taker to absorb, process and access huge quantities of information. Cooper is a smooth and watchable leading man. His voice-over narration could have seemed lazy in the wrong hands, but comes across as a conversational tool to help us engage with his choices. I wasn’t hugely anticipating LIMITLESS. Director Neil Burger’s THE ILLUSIONIST was pretty lacklustre, especially compared to THE PRESTIGE. 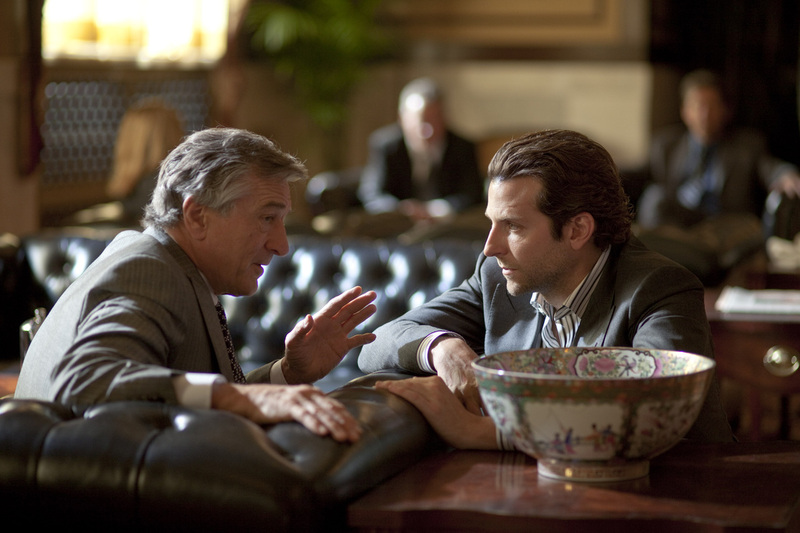 Robert De Niro has not been in anything I’ve been excited about in a long time. Straightaway, we are launched into a heady scenario, seemingly very self-consciously dramatic, with Eddie thinking of jumping from his penthouse apartment rather than be tortured and murdered by those trying to break in. Then, just before he steps off his balcony, we rewind to his pre-NZT days. He has reached rock-bottom. Eddie is not taking care of himself, he has writer’s block, and his girlfriend dumps him. He is a bright, university educated everyman. It is clear that we are meant to easily empathise with him. Then the pill comes into his life, allowing his short-term goals to be quickly achieved. Eddie then sets his sights on more lofty ambitions. This is all portrayed in a visually arresting way. The camera-work is nifty, pulling you through the passage of time, or flipping upside down while Eddie empties his guts. There is energy and dynamism. The cumulative effect of the charisma on screen and pace of proceedings make this highly entertaining. It is interesting how he thinks. As various people want what he has, his thought processes are a mixture of survival and aspiration. However, I have this nagging feeling throughout, that the movie itself lacks ambition. Why this story? Rather than say, find a cure for a disease? Or become a policeman to root out crime? Or is this just a demonstration of what we’d all do? Every time I think about loftier ideals, is that even realistic, or maybe just plain sentimental? 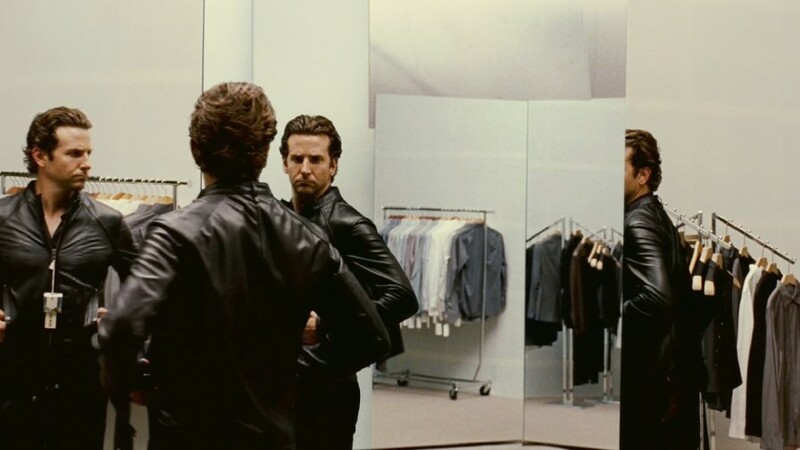 Eddie’s choices in the film are logical and at times inspired. For a Hollywood thriller this is how to do it; but imagine in the hands of someone like David Fincher or Ken Loach or Michael Haneke, where the possibilities might have lay?